by Pam Grout | Travel | This book has not been rated. A fun book! I'm passing it along in hopes it will find a good new home. I hope someone finds this and enjoys it! Ooops! I forgot to take this with me to release when I was at the salon yesterday, so I'm sending it RABCK to morsecode as a surprise. A little surprise that came along with a wonderful RABCK. I didn't realize who were from Rochester, calico. There's a local BC group that has meetups on the 2nd Monday of the month, which I attend occasionally. Let me know if you want any information about it. I'll be mailing it out to KarinAlyssa in the next week to help celebrate her Ballyswapper month. 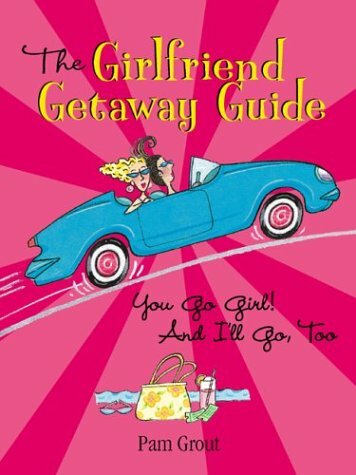 She's mentioned that she loves going on trips with her girlfriends so I think she'll really appreciate this book. received as part of Ballyswappers - January. I can't wait to have the time to sit down and read it, thank you Karen! It is putting a smile on my face right now as I'm thinking of potential ideas for my friends and I to go somewhere! Another charming book made for girls and women everywhere. My friends and I have planned various gateways, but we are planning a NYC girls weekend in March and hopefully it'll be marvellous! Thanks Karen for sharing! I'll pass it on to another girlfriend so she can too enjoy it!